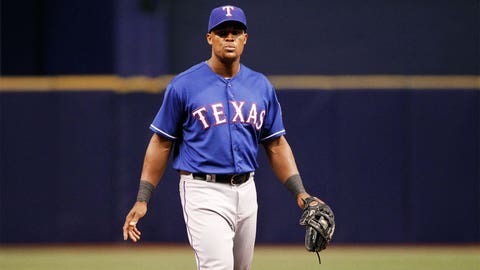 Beltre was placed on the disabled list April 13, retroactive to April 9, with a strained left quad muscle. He was hitting .286 with 4 RBIs in eight games before being injured. SEATTLE — The Texas Rangers have activated third baseman Adrian Beltre from the 15-day disabled list and shut down third baseman Kevin Kouzmanoff with a sore back. Texas made the roster moves on Friday before opening a three-game series in Seattle. Kouzmanoff has a herniated disc in his lower back and is on the 15-day DL retroactive to April 23. Kouzmanoff left Tuesday’s game in Oakland with back tightness. He was the American League player of the week April 14-20 and was hitting .362 with two homers, six doubles and 10 RBIs in 13 games since his contract was purchased from Triple-A Round Rock.